8. should ID be taught as science in public schools? A Harris poll in June 2005 found that 55% of American adults believe that evolution, creationism, and intelligent design should be taught in public schools. Intelligent design (ID) is an anti-evolution belief asserting that naturalistic explanations of some biological entities are not possible and such entities can only be explained by intelligent causes. * Advocates of ID maintain that their belief is scientific and provides empirical proof for the existence of a god or superintelligent aliens. They claim that intelligent design should be taught in the science classroom as an alternative to the science of evolution. ID is essentially a hoax, however, since evolution is consistent with a belief in an intelligent designer of the universe and with an unlimited number of other metaphysical myths. The two are not contradictory and they are not necessarily competitors, though evolution clearly contradicts the creation stories of numerous religions. ID is proposed mainly by Christian apologists at the Discovery Institute and their allies, who oppose the science of evolution because it threatens their hidebound, literalistic view of Bible stories. The approach of the Discovery Institute to scientific discoveries that contradict their literal understanding of the Bible is reminiscent of the early twentieth-century organization known as the World Association of Christian Fundamentalists. One of the early-birds defending ID was UC Berkeley law professor Philip E. Johnson, who seems to have completely misunderstood Darwin's theory of natural selection as implying (1) the Judeo-Christian god doesn't exist, (2) natural selection could only have happened randomly and by chance, and (3) whatever happens randomly and by chance cannot be designed by a god. None of these beliefs is essential to natural selection. There is no inconsistency in believing in a god that created the universe and believing in natural selection as well, though it is true that evolution provides a non-theistic explanation of the origin of species. Natural selection could have been designed by a god, though it does seem more in tune with the nature of the Jewish god to have made little clay figurines and blown life into them. Two scientists often cited by defenders of ID are Michael Behe, author of Darwin's Black Box (The Free Press, 1996), and William Dembski, author of Intelligent Design: The Bridge between Science and Theology (Cambridge University Press, 1998). Dembski and Behe are fellows of the Discovery Institute, a Seattle research institute funded largely by Christian foundations. Their arguments are attractive because they are couched in mathematical or scientific terms and backed by what seems to be scientific competence. However, their arguments are identical in function to the creationists' arguments: rather than provide positive evidence for their own position, they mainly try to find weaknesses in natural selection. However, even if their arguments are successful against natural selection, that would not increase the probability of ID. Behe is an Associate Professor of Biochemistry at Lehigh University (read this disclaimer from his department). Behe's argument is not essentially about whether evolution occurred, but how it had to have occurred. He claims that he wants to see "real laboratory research on the question of intelligent design. "* Behe claims that biochemistry reveals a cellular world of such precisely tailored molecules and such staggering complexity that it is not only inexplicable by gradual evolution, but that it can be plausibly explained only by assuming an intelligent designer, i.e., the Judeo-Christian god. Some systems, he thinks, can't be produced by natural selection because "any precursor to an irreducibly complex system that is missing a part is by definition nonfunctional" (Behe 1996: 39). He says that a mousetrap is an example of an irreducibly complex system, i.e., all the parts must be there in order for the mousetrap to function. In short, Behe has old wine in a new skin: the argument from design wrapped in biochemistry. His argument is no more scientific than any other variant of the argument from design. In fact, most scientists, including scientists who are Christians, think Behe should cease patting himself on the back. As with all other such arguments, Behe's begs the question. He must assume design in order to prove a designer. Finally, Behe's argument assumes that natural selection will never be able to account for anything it cannot account for now. This begs the question. In fact, some of the things that Behe and other ID defenders have claimed could not be explained by natural selection have in fact been explained by natural selection (Miller 2004; Theobald 2007). Dembski's training is in mathematics, philosophy, and theology. He is also a senior fellow at the Discovery Institute. Dembski has written several books attacking evolution and supporting ID. Even his critics admit that his books are "generally well written and packed with provocative ideas. "* He claims that he can prove that it is highly improbable that life and the universe happened by chance and by natural processes; they are most likely the result of intelligent design by the Christian god. He also claims that "the conceptual soundness of a scientific theory cannot be maintained apart from Christ" (Intelligent Design: The Bridge between Science and Theology, 1998, p. 209). if numerous gradations from a perfect and complex eye to one very imperfect and simple, each grade being useful to its possessor, can be shown to exist; if further, the eye does vary ever so slightly, and the variations be inherited, which is certainly the case; and if any variation or modification in the organ be ever useful to an animal under changing conditions of life, then the difficulty of believing that a perfect and complex eye could be formed by natural selection, though insuperable by our imagination, can hardly be considered real. Science has proved Darwin right (Patterson 2002). We now know that the vision system consists of many different components that perform specialized tasks such as detecting edges or motion. The optic nerve takes two pathways to the brain and one obviously evolved much earlier than the other. Different kinds of visual systems have evolved at different times in different species. All these systems could have been produced by an intelligent designer, either of the Judeo-Christian type or of any of an unlimited number of other types. But none of the systems of the eye requires an intelligent designer to explain its origin or development. Numerous gradual changes and adaptations are sufficient to explain even the most complex visual system. The most serious problem in Dembski’s account involves specified complexity. Organisms aren’t trying to match any “independently given pattern”: evolution has no goal, and the history of life isn’t trying to get anywhere. If building a sophisticated structure like an eye increases the number of children produced, evolution may well build an eye. But if destroying a sophisticated structure like the eye increases the number of children produced, evolution will just as happily destroy the eye. Species of fish and crustaceans that have moved into the total darkness of caves, where eyes are both unnecessary and costly, often have degenerate eyes, or eyes that begin to form only to be covered by skin—crazy contraptions that no intelligent agent would design. Despite all the loose talk about design and machines, organisms aren’t striving to realize some engineer’s blueprint; they’re striving (if they can be said to strive at all) only to have more offspring than the next fellow. According to another critic - physicist Vic Stenger ("The Emperor's New Designer Clothes") - Dembski uses math and logic to derive what he calls the law of conservation of information. "He argues that the information contained in living structures cannot be generated by any combination of chance and natural processes....Dembski's law of conservation of information is nothing more than "conservation of entropy," a special case of the second law [of thermodynamics] that applies when no dissipative processes such as friction are present." However, the fact is that "entropy is created naturally a thousand times a day by every person on Earth. Each time any friction is generated, information is lost." In the end, it’s hard to view intelligent design as a coherent movement in any but a political sense. If we grant that the universe is possibly or even probably the result of intelligent design, what is the next step? For example, assume a particular eco-system is the creation of an intelligent designer. Unless this intelligent designer is one of us, i.e., human, and unless we have some experience with the creations of this and similar designers, how could we proceed to study this system? If all we know is that it is the result of ID but that the designer is of a different order of being than we are, how would we proceed to study this system? It is presumptuous to assume that an intelligent designer would create an eye the way a human engineer would design a similar system with a similar function. By appealing to an "intelligent designer" to explain some complex phenomenon is to explain nothing about that phenomenon's relation to its alleged designer. The theory illuminates nothing. should ID be taught in public schools? In other words, you Christians know who the intelligent designer is even though we don't mention any names! Bush's comments gave the media an excuse to jump into the fray. The August 15, 2005, cover of Time magazine, for example, has Michelangelo's Sistine chapel creator pointing the finger at a chimp. Does God [sic] have a place in the science classroom? asks Time. The article provides an overview of the controversy with a nice map of the anti-evolution proposals that have been put forth in this century by state boards of education, state legislatures, and local boards of education. Very few states are unblemished. A number of state and local school boards have brought ID into their classrooms. In 1999, the Kansas Board of Education rejected evolution as a scientific principle. The 10-member board voted six to four to eliminate evolution from the science curricula. The Kansas board did not ban the teaching of evolution. Only the legislature has that kind of power. The board simply deleted any mention of evolution and the Big Bang theory from the science curriculum and from the materials used to test graduating students. Creationists such as board member Steve Abrams, a former head of the state Republican Party, hailed the decision as a victory in the war against evolutionists. Creationists want children to believe that a god made them and every other species individually for a purpose. They do not want children to think that a divine power might be behind the Big Bang or evolution of species because that opens the possibility that the Christian god might not exist. Creationism maintains that a god created everything, a belief that leaves no room for an explanation of the existence and nature of things without reference to a god. Abrams wanted to add to the science curriculum standards the assertion that "the design and complexity of the design of the cosmos requires an intelligent designer," but his circular reasoning was voted down. Nevertheless, the Kansas board recognized micro-evolution - natural selection within a species - as a fact. Perhaps the six who voted for the new standards do not understand that natural selection within species was what stimulated Darwin to his general theory of evolution. Nor do they seem to understand that you can't have a theory of evolution without the fact of evolution (any more than you could have a theory of planetary motion without the fact of planetary motion). Scientific theories are explanations as to how things happen. You don't try to explain how something happened unless it happened. Natural selection is one theory as to how evolution happened. It assumes evolution is a fact. In 2002 an election returned a majority to the Kansas state board of education who were in favor of teaching just science in the biology classroom. In 2004 another election tipped the scales back in favor of the ID folks. The new group called for hearings to decide whether ID would be taught. The hearings were boycotted by the scientific community, party because they felt the board had already made up its mind about ID and evolution, and partly because they did not want to convey the appearance of scientific legitimacy on the ID movement. On August 9, 2005, the Kansas State Board of Education voted 6-4 in favor of new state science standards composed with the aid of a local "intelligent design" group, the Intelligent Design Network, that "systematically deprecates the scientific status of evolution. "* Not only were the standards approved, but the board rewrote the definition of science so that it is no longer limited to the search for natural explanations of phenomena. * Similar proposals have been passed in other school districts. However, eight school board members who passed an anti-evolution standard in Dover, Pennsylvania, were all voted out of office in November 2005. The newly elected group all support ID but think it is a religious doctrine and should be taught in a philosophy or world religions class. As noted above, a federal judge agreed with them. ...students in public schools are being taught that evolution is a fact, that they're just products of survival of the fittest....It creates a sense of purposelessness and hopelessness, which I think leads to things like pain, murder, and suicide. That there is no scientific evidence to support these claims is a matter of indifference to those who believe them. No matter. The Christian doctrine of original sin explains the origin of pain, murder, and suicide; thank you very much. In Alabama, biology textbooks carry a warning that says that evolution is "a controversial theory some scientists present as a scientific explanation for the origin of living things. . . .No one was present when life first appeared on earth. Therefore, any statement about life's origins should be considered as theory, not fact." Right. In Alabama, I guess, if you wake up to snow on the ground, but no one saw it snowing, then you may only propose a hypothesis as to the origin of the snow. The great state of Alabama apparently is banking on their students being too dumb to recognize language that tries to deceive and manipulate them. Six parents and the American Civil Liberties Union filed a federal lawsuit against the Cobb County school board over the disclaimer stickers. In August 2005, U.S. District Judge Clarence Cooper ordered the school system to remove the stickers. The disclaimers, ruled Judge Cooper, are an unconstitutional endorsement of religion. By denigrating evolution, the school board appears to be endorsing the well-known prevailing alternative theory, creationism or variations thereof, even though the sticker does not specifically reference any alternative theories. The school board issued a statement indicating that they just don't get it. The textbook stickers are a reasonable and evenhanded guide to science instruction and encouraging students to be critical thinkers. The plaintiffs had argued that the disclaimers violated the separation of church and state and unfairly singled out evolution from all other scientific theories as suspect. While evolution is subject to criticism, particularly with respect to the mechanism by which it occurred, the sticker misleads students regarding the significance and value of evolution in the scientific community. It certainly does. There are no stickers in the physics or chemistry books. There are none in the social science books. And there certainly are no warning stickers on Bibles sold in Cobb country or elsewhere, though their probably should be. The only theory singled out by the school board is evolution and the reason was obvious to the judge: the theory of evolution is understood as implying that a god didn't make the species one by one and that a god isn't even necessary for making any species at all. If evolution is correct, the school board members and the thousands of parents (2,300, to be exact) who support them believe that then their religious views are wrong. Accepting evolution is as much as accepting atheism. It is the same as believing we have no souls and are nothing but material beings with no possibility of an afterlife. According to recent polls, about 35% of Americans believe that evolution implies no god, no soul, no afterlife, no truth in the Bible. (Other polls put the number as high as 55%. I suspect the different result is due to the way the questions were asked and the kind of responses allowed.) A 2005 national survey by the Harris polling agency found that 54% say they do not believe humans evolved from earlier species, while 64% believe that human beings were created directly by a god. As a result of the decision in the Cobb county case, the school district in Beebe, Arkansas - at the urging of the American Civil Liberties Union - removed stickers they had ordered to be placed in science textbooks ten or fifteen years earlier. The stickers described evolution as "controversial" and mentioned an "intelligent designer" as a possible explanation for the origin of life. Authorities in Alabama, however, did not follow suit. They claimed they didn't see how the ruling in Georgia applied to them. On March 9, 2004, the Ohio state board of education approved by a 13-5 margin what it called a "Critical Analysis of Evolution" plan. An early draft of the plan made an explicit reference to Icons of Evolution by Jonathan Wells, a senior fellow at the Discovery Institute. The final plan made no mention of Wells or his book, but critics of the plan said it contained many of the concepts in Icons. Defenders of the decision call it a victory for common sense over scientific dogmatism. In reality, it is a victory for those who would have politicians deciding what is proper science. The first question in the "student reflection" portion of the "Critical Analysis of Evolution" is loaded: "Why is it important for scientists to critically analyze evolution?" The question assumes that most scientists haven't or don't critically analyze evolution, or that they don't realize it is important to do so. It assumes that scientists need to be reminded of both the question and its importance. To provide students with a lesson plan that implies that scientists have put forth their views on evolution without critical analysis would be ludicrous if it weren't so dangerous. Bettysue Feuer, regional director of the Anti-Defamation League, noted that the wedge document is at work here. If you teach that there is a controversy over evolution, intelligent design advocates get their foot in the door, and can push their religious agenda. In Missouri Rep. Wayne Cooper sponsored legislation calling for the teaching of intelligent design alongside evolution in public elementary and secondary schools. Said Cooper: "We just want people to quit passing on their philosophic bias as though it is the truth when it's not proven." He also asserted: "If we're just a piece of matter in a meaningless universe, you're going to treat yourself different than if you're a designed product." Call me old-fashioned but I can't think of anything more degrading that being a piece of matter designed to fulfill some divine being's plan. I don't have quite the admiration Mr. Cooper does for the idea of being created to worship and obey a master. This might give his life meaning but it seems demeaning to me. His Holiness Raël draws the exceptional accuracy of his scientific and humanitarian vision from the Message He received in 1973 from the Elohim, a very advanced race of human beings from a distant planet within our galaxy. The Elohim created all life on Earth scientifically using DNA (including humans in their image) and were mistaken for God [sic], which explains why the name Elohim is present in all original Bibles. The Bible is, in fact, an atheist book describing the scientific creation of life on Earth. The new concept of "Intelligent Design" fits perfectly with this explanation of our origins. Thirty years ago the Elohim explained to Raël that human cloning coupled with memory transfer would one day allow humans to live forever on Earth. Today this prediction is close to becoming a reality, as it has been for millennia on the Elohim's planet. It is, in fact, how the Elohim resurrected Jesus, their messenger, as well as many others whom they sent to guide humanity and who now live on their planet. A "critical analysis" of evolution shouldn't exclude Raël's vision, especially since the master himself thinks ID fits with his godless religion and an atheistic Bible. That's certainly an "alternative" viewpoint that you won't find in most science texts. What are the odds that Ohio—or any other state—will include it or other alternatives in a "Critical Analysis of Evolution" plan? In October, 2004, the Dover Area School Board in York, Pennsylvania, voted 6-3 to add ID to the district’s biology curriculum. One Dover board member resigned in tears after the vote, saying she was tired of being asked if she was "born again." Only one community member spoke in favor of the ID proposal and he home-schools his kids. William Buckingham, one of the board members who led the fight for ID inclusion in the biology curriculum, was reported in the local newspaper as having "challenged people’s literacy, knowledge of American history and patriotism throughout the night." The following month the school district chose four new board members (from 13 candidates): "a preacher, a home-schooler who doesn't send his kids to public school because of his religious beliefs, and two others with barely any experience in government." No one who spoke out against intelligent design was selected. As noted above, however, all eight school board members who supported the ID requirement were voted out of office in 2005. Several Dover parents filed suit against the school district on the grounds that introducing ID into the science classroom was unconstitutional because ID is a thinly disguised religious idea. When federal Judge John E. Jones III ruled against the school board in Kitzmiller v. Dover, he commented on "the breathtaking inanity of the Board’s decision ... when considered against the factual backdrop which has now been fully revealed through this trial." Evolutionists used to style themselves the champions of free speech and academic freedom against unthinking dogmatism. But increasingly, they have become the new dogmatists, demanding judicially-imposed censorship of dissent. As Mr. West knows, no judge has censored ID. Those who advocate this philosophical anti-science idea are still free to express their views. The fact is, conservative Republican Judge Jones recognized that ID is no more a serious scientific contender to natural selection than creation in six days by an invisible guy in the sky or creation of earthly life forms in an alien laboratory on some other planet. But don't expect the ID folks at the Discovery Institute to come clean and admit their program of deception. They're on a mission to confuse people about evolution and seem to believe that the end justifies the means. If they have to lie and deceive to get people to doubt evolution, then so be it. Meanwhile, in Blufton, Indiana, the local school board announced that ID will continue to be a part of Bluffton-Harrison’s High School science curriculum. The school board voted 4-1 to continue requiring the district’s science educators to discuss “appropriate theories” — such as intelligent design and evolution — and give a “fair and balanced” presentation when teaching about the origin of the universe and life. The Discovery Institute folks must be smiling: an issue that has nothing to do with balance and fairness has been turned into a fairness issue. So, should we teach ID in our biology classrooms even though ID is not a viable alternative to natural selection? The answer is "yes, if we teach ID properly." The answer is "no" if we are asked to teach ID as a viable scientific idea worth spending precious classroom time on. To teach ID properly would be to demonstrate to the students that nothing of scientific interest follows after one posits an external agent to explain something. To say the eye was designed by a god or an alien race is to say: Stop, go no further in trying to understand this; give up; don't do science. Students might be taught that ID is just the kind of belief that some philosophers and theologians find interesting but since it doesn't lead to any deeper understanding of biological mechanisms, doesn't lead to new discoveries or research ventures, and doesn't have any practical scientific applications, it is left to those in other fields to pursue. A good biology teacher ought to be able to explain why ID, even if true, is of little scientific interest in about 15 or 20 minutes. That should leave plenty of time to instruct their students in science. See also anthropic principle, atheism, argument from design, Cambrian explosion, creationism, god, Occam's razor, Richard Sternberg, theism, young Earth creationists, and Onward Christian Soldiers: The Holy War on Science by Robert Todd Carroll. Arnhart, Larry. "Evolution and the New Creationism - a Proposal for Compromise," Skeptic Vol. 8 No. 4, 2001, pp. 46-52. Barlow, Connie. The Ghosts of Evolution (Basic Books, 2001). Behe, Michael. (1996). Darwin's Black Box. The Free Press. Buller, David J. (2005). Adapting Minds: Evolutionary Psychology and the Persistent Quest for Human Nature. MIT Press. Coyne, Jerry A. 2009. Why Evolution Is True. Viking Adult. Darwin, Charles. From So Simple a Beginning: Darwin's Four Great Books (Voyage of the H.M.S. Beagle, The Origin of Species, The Descent of Man, The Expression of Emotions in Man and Animals). ed. E. O. Wilson. Dawkins, Richard. River Out of Eden: A Darwinian View of Life (1995, Basic Books). Dawkins, Richard. Climbing Mount Improbable (1996 Viking Press). Dawkins, Richard. The Blind Watchmaker: Why the Evidence of Evolution Reveals a Universe Without Design (1996: W.W. Norton). Dawkins, Richard (2004). The Ancestor's Tale: A Pilgrimage to the Dawn of Evolution. Houghton Mifflin. Dawkins, Richard. 2009. The Greatest Show on Earth: the Evidence for Evolution. Free Press. Dembski, William. (1998). Intelligent Design: The Bridge between Science and Theology. Cambridge University Press. Dembski, William A. and Michael Ruse. (2004). eds. Debating Design: From Darwin to DNA. Cambridge University Press. Dennett, Daniel Clement. Darwin's Dangerous Idea: Evolution and the Meanings of Life (New York : Simon & Schuster, 1995). Forrest, Barbara and Paul R. Gross (2003). Creationism's Trojan Horse: The Wedge of Intelligent Design. Oxford University Press. Gould, Stephen Jay. Ever Since Darwin (New York: W.W. Norton & Company, 1979). Gould, Stephen Jay. "Evolution as Fact and Theory," in Hen's Teeth and Horse's Toes (New York: W.W. Norton & Company, 1983). Katz, Leonard D. (2000). ed. Evolutionary Origins of Morality : Cross-Disciplinary Perspectives. Imprint Academic. Larson, Edward. Evolution: The Remarkable History of a Scientific Theory (Modern Library 2004). Marzano, Robert J. "When Two Worldviews Collide," in Educational Leadership. December 1993/January 1994.Volume 51. Number 4. Miller, Kenneth R. (2000). Finding Darwin's God: A Scientist's Search for Common Ground Between God and Evolution. Perennial. Pennock, Robert T. Tower of Babel: The Evidence Against the New Creationism (Cambridge, MA: the MIT Press, 1999). Peoples, Hervey Cunningham. 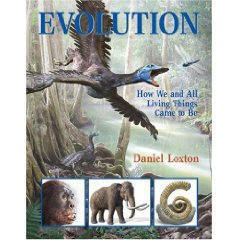 The Human Question: What People Believe About Evolution, Human Origins, and the Beginning of Life (Red Lion Press 2003). Richerson, Peter J. and Robert Boyd. (2004). Not By Genes Alone: How Culture Transformed Human Evolution. University of Chicago Press. Ruse, Michael. 2008. Darwinism and Its Discontents. Cambridge University Press. Scott, Eugenie C. (2005). Evolution vs. Creationism : An Introduction. Greenwood Press. Trotman, Clive. (2004). The Feathered Onion: Creation of Life in the Universe. Wiley & Sons. Young, Matt and Taner Edis (2004). Editors. Why Intelligent Design Fails: A Scientific Critique of the New Creationism. Rutgers University Press. 'Intelligent Design' Meets Artificial Intelligence by Taner Edis, Skeptical Inquirer (March/April 2001). Intelligent Design, Online Edition Finally, something from the HuffPo a skeptic can believe in! Is it possible that a Christian defender of ID lied? new The End of Intelligent Design? by Stephen M. Barr, professor of physics. What has the intelligent design movement achieved? As science, nothing. The goal of science is to increase our understanding of the natural world, and there is not a single phenomenon that we understand better today or are likely to understand better in the future through the efforts of ID theorists. If we are to look for ID achievements, then, it must be in the realm of natural theology. And there, I think, the movement must be judged not only a failure, but a debacle. For a critical commentary on Barr's bashing of ID see Jason Rosenhouse's Evolutionblog. The ID folks are tapping into deep intuitions people have that complex, functioning structures do not arise from natural, non-intelligent causes. Many are already uncomfortable with the naturalism of modern science and see evolution as dehumanizing and implausible. They like the idea that modern science can provide some rational support for theism. My experiences at ID gatherings suggest to me that an awful lot of people are being led just where they want to go. Dembski Stoops Even Lower: Legal Threats to Silence a Critic "...debate is the last thing that Bill [Dembski] wants. When someone took a good look at one of his papers, and posted a critique, Bill's response was the threaten to sue them for copyright violation." The Vol. 8 No. 4 2001 issue of Skeptic magazine has several articles and book reviews on intelligent design. It is well worth a read. A list of scientific papers which refute Behe can be found in Publish or Perish - Some Published works on Biochemical Evolution. A Central Illinois Scientist Responds to the Behe's "Black Box" by Karen Bartelt, organic chemist and an Associate Professor of Chemistry at Eureka College in Eureka, IL.